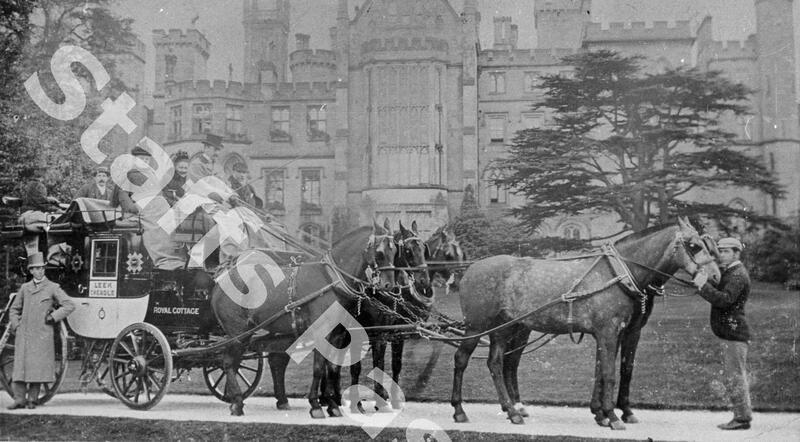 Description:The 20th Earl of Shrewsbury in the driving seat of his 'Greyhound' coach, in front of Alton Towers, one of his family homes. During 1892 and 1893 the Earl ran a daily coach service between Alton Towers and Buxton, via Cheadle, Leek and Axe Edge, a 54 mile round trip. He often drove it himself, but also employed a professional Coachman, Arthur Woodland, and a Guard, William Marshall. 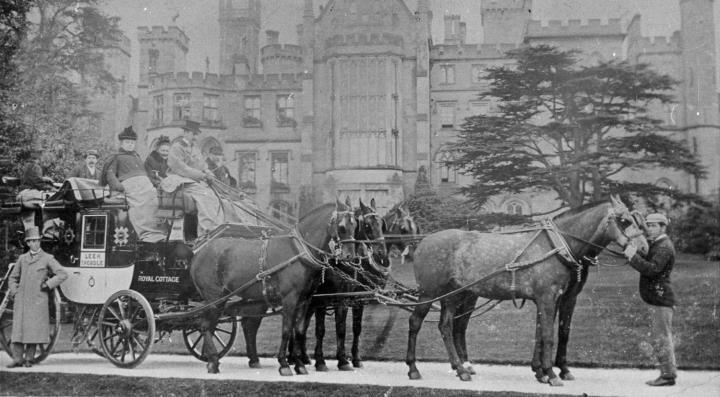 The Earl purchased 50 horses specifically for this coach service. This photograph was taken shortly after the service began in July 1892. This image is included by kind permission of the Churnet Valley Railway.